The dates for the 2009 Word of Truth Conference are November 11-15, Wednesday through Sunday. During the evenings of Wednesday through Friday, there will be two preaching sessions per night. Thursday to Saturday mornings will feature sessions on the doctrine of ecclesiastical separation. On Thursday and Friday mornings, there will be an extra preaching session as well. Dr. Gary Webb, pastor of Calvary Baptist Church of Carrboro, North Carolina will teach one of the sessions on separation and preach one other occasion during the week. Pastor Bobby Mitchell, pastor of Mid-Coast Baptist Church of Brunswick, Maine will also teach one separation time and preach once. Other pastors in attendance may be preaching other times, since this is a preaching conference. If you are coming, the RSVP for the conference is here. Click on that to let us know you're coming. I draw your attention to the part: "not given to much wine." Here's the issue with this. If this wine is non-alcoholic, then why would he warn that deacons could not be given to much of it? It wouldn't seem to matter whether a deacon drank as much as he wanted if it were non-alcoholic oinos. On the other hand, if it's alcoholic, the verse wouldn't be prohibiting it, contradicting Proverbs 23:31. The way that it reads is that it must be alcoholic. It would seem that it would only be restraining the deacon from drinking alcohol, not grape juice. So is this verse permitting the moderate drinking of alcohol? No. 1 Timothy 3:8 is not permitting the drinking of alcohol. A deacon must show discernment in his drinking of oinos. That is what it is teaching. Wineskins didn't come with labels on it. If they did, and the label said "alcohol," the deacon wouldn't even drink that. Because it wasn't that clear what the oinos might be, when someone drank oinos, he had to be careful with it. There were varying kinds of oinos and the degree of quality control varied in those ancient times. There was no refrigeration. Oinos could be addictive. One of the ways that a deacon could know on the borderline oinos would be how much of it he was drinking it. Drinking much of it could be a sign of addiction. This is why Paul would state it the way he did. And that fits in with the other passages of scripture. A grammatical point enters in here too. After listing the qualifications of the bishop, Paul begins the deacons' with the word "likewise," a word that means "in the same manner." One of the traits required of the pastor is translated "vigilant" in v. 2. The Greek word, nephalios, means "temperate, sober, strictly holding no wine, temperate, abstinent." If the deacons were to fulfill qualifications that were the same as the pastor, then he too would be required to be abstinent. In Wine in the Bible Samuele Bacchiocchi answers the question, "Is a little addiction right?" Addiction to something which is intrinsically evil is always morally wrong, whether it is moderate or excessive. To argue that “not addicted to much wine” allows for a moderate addiction to alcoholic beverages is to adopt a dangerous method of interpretation. Such an interpretation rests on the assumption that what is forbidden in much is automatically permissible in little; what is declared wrong in excess is naturally right in moderation. Is such an assumption true? Anyone can see that this method of interpretation is utterly indefensible. When Peter says that the pagans were surprised that Christians did not indulge in “the same excess of riot” as themselves (1 Pet 4:4), obviously he did not mean that Christians were moderate in their rioting. We cannot automatically assume that what is unlawful in excess is lawful in moderation. Albert Barnes in his Notes on the New Testament writes concerning this idea of "much wine." It is not affirmed that it would be proper for the deacon, any more than the bishop, to indulge in the use of wine in small quantities, but it is affirmed that a man who is much given to the use of wine ought not, on any consideration, to be a deacon. It may be remarked here, that this qualification was everywhere regarded as necessary for a minister of religion. Even the heathen priests, on entering a temple, did not drink wine (Bloomfield). The use of wine, and of strong drinks of all kinds, was absolutely prohibited to the Jewish ministers of every rank when they were about to engage in the service of God (Lev 10:9). Why should it then be any more proper for a Christian minister to drink wine than for a Jewish or a heathen priest? Shall a minister of the gospel be less holy than they? Shall he have a feebler sense of the purity of his vocation? Timothy had to consider the same instruction for pastors when it came to a health issue that he was having. The water supply in Ephesus must have been causing Timothy an upset stomach. If you have been to certain foreign countries, you know about the admonition, "Don't drink the water." Water with even a little contamination can cause severe sickness, debilitating someone. You know what I'm talking about if you've drunk some of the amoebic water in certain locales. In Mexico, they call it Montezuma's revenge. Timothy wasn't drinking the oinos for pleasure or even to satisfy thirst, but for medicinal purposes. Non-addictive oinos would have kept Timothy from poor water, alleviating the stomach problems. But he had to be careful too. I think there is another aspect to this in the following thoughts. Proverbs 23:34-35 shows that alcoholic yayin deceives a person. He who drinks it loses mental control. 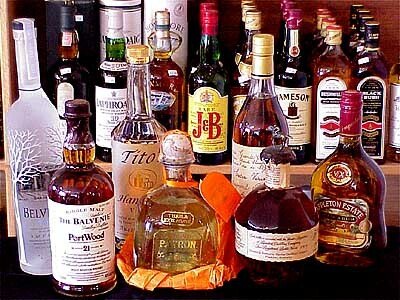 A person who is drinking what is plainly alcohol can't make a clear decision about what he is doing. He thinks he can, but he clearly cannot. First, Paul wouldn't be contradicting a passage that prohibits drinking alcohol. Second, he certainly wouldn't inform someone that he should make sure to drink it in moderation. Someone not drinking alcohol could be trusted to be moderate, but a person drinking alcohol couldn't necessarily be trusted to stop in time. He might stop, but the deceptiveness of the alcohol, affecting discernment, couldn't guarantee this. Of course, everything that I have presented in all points of this debate relates to the oinos, yayin, or shekar of biblical times. The distillation process wasn't even in existence at that time. Modern booze is much more addictive than the most addictive of those ancient days. So it is even more powerfully deceiving today than it was then. And now we know if we're drinking alcohol. We've got labels that even tell us the extent of the addictiveness. Then they didn't. So we've got this very deceptive substance. People often become addicted from that one drink. Scripture says it's addictive. The Bible prohibits it. And yet people say they can drink it moderately. Many can't, but that's OK to those who think they can. As long as it can be done, or at least people think they can do it, it must be right. Let those be damned who can't stop drinking it. It's a substance that results in multiplied societal problems. But that's the people's fault who drink it? Right? They've got to be able to show more discernment, so they're wrong in not doing so? But can they show discernment when the drink itself is deceiving and more than deceiving today than ever? The substance itself is a problem, just like Proverbs 23 says. Christians must abstain. Here's a poem written in 1847, "Look Not Upon the Wine When It Is Red" by N. P. Willis. A spell of madness lurks below. A stinging serpent unseen sleeps. A sleepless worm is nursed. That does not carry food to him. Someone needs to put those words to music. You may have heard that some are now saying we've got new evidence and new scholarship that overturns what has been called the "two-wine position" (what I know as "the view the Bible teaches"). And we've got to be honest with the scriptural data and allow it to lead us to the right conclusion. I agree with that second statement. Let scripture show us what the correct position is. What I don't understand is how that the Bible would start saying something different than it has. God's Word hasn't suddenly begun teaching something that it didn't teach before. Certain passages couldn't have changed in their meaning. The same Hebrew verb here is translated "shall rejoice." We know that Jehovah is not feeling tipsy over his works. And yet here's the argument. "Alcohol" makes the heart glad. God gave alcohol. Therefore God wants us to drink alcohol. There's something missing here, isn't there? You can't assume that yayin is alcohol. So you can't argue that yayin is alcohol just because a heart gets glad because of it. This brainy argument is nothing better than an assumption that the English word "wine" must be referring to an alcoholic beverage. You can't get that from reading Psalm 104:14-15. You get it by reading into the text. To understand what's going on in Deuteronomy 14:26, consider what's happening in the context beginning in v. 22. The Israelites were to tithe, that is, give a tenth of their agricultural production every year. Certain Israelites lived so far away that it wasn't practical for them to transport their tithes of agriculture all the way to Jerusalem to offer to God. Because of this, God permitted them to exchange it into silver where they lived and then turn it back into agriculture when they arrived by purchasing the equivalent for a feast at the tabernacle location. This Israelite could use the money, which he would otherwise give as a tithe, for the support of the Levitical priesthoood and for such Levites as might happen to live in his neighborhood (v. 27) and for strangers, fatherless persons, and widows. Here's their argument. All strong drink (shekar) is alcohol. God wants a portion of their alcohol given in the form of this feast. Therefore, alcohol is acceptable to God. Go ahead and drink alcohol, God is saying, in other words. And they would say that is taken from this passage. It doesn't look like such a crucial verse, but it is to them. Of course, to start, this clashes with what Proverbs 23:29-35 says about alcohol. This is where the "alcoholic scholarship" comes in. It would say that Proverbs 23 must be something other than a prohibition of alcohol. So Deuteronomy 14:26 would guide what we see in Proverbs 23:29-35. And so everything here rests on the meaning of "strong drink" (shekar). So does God really want the drinking of alcohol based on Deuteronomy 14:26? Definitely not. If God was encouraging it, that would contradict the plain Proverbs 23 passage. If they really were to buy alcohol for a feast with the money from ten percent of their agricultural product, what would that feast be like? If shekar, strong drink here, is alcoholic, and it is saying that with the tithe of a wealthy man’s income he could purchase a great amount of intoxicants, this text would encourage not just moderate drinking but drunkenness that even moderationists forbid. If shekar and yayin were both alcoholic drinks, you would have two words for alcohol in Deuteronomy 14:26 listed side by side, forcing the verse into an impossible redundancy---"or alcohol or alcohol"---only alcoholic drinks. God would be advocating an open bar for the festivity, and yet, of course, encouraging temperance. I don't think so. The big grin on the face of the drinkers is because they believe that "strong drink," shekar, is always intoxicating, that's the whole point of the word. They usually point to lexiconal usage. The argument goes like this. Shakar is the verb, meaning drunken. Therefore, the noun form, shekar, is always speaking of intoxicating drink. That idea, which is only an unsubstantiated concept, had been debunked many times over. Others have written wonderful treatments on this, from Robert Teachout to Stephen M. Reynolds to Samuele Bacchiocchi. This article in Bibliotheca Sacra (1880) also says "no." The preceding considerations have suggested five major reasons why the phrase “wine and strong drink” in Deuteronomy 14:26 refers to an unfermented beverage. First, the larger context of the passage, which calls the people to be “holy to the Lord” by abstaining from anything unclean (Deut 14:3-21), precludes the free consumption of intoxicating beverages at a solemn harvest festival “before the Lord” (vv. 23, 26). Second, the immediate context (v. 23) specifies that the tithe was to be paid with fresh harvest products (grain, grape juice [tirosh], oil and newborn lambs and calves by those living close to the sanctuary. When consumed, the grain would be known as bread and grape juice (tirosh) as unfermented wine (yayin). It is absurd to imagine that while the worshipers who lived in proximity to the sanctuary celebrated the harvest festival by eating fresh produce, those who had come from distant places would be drinking fermented beverages. Third, the participation of the priestly Levites in the harvest festival (v. 27) would preclude the consumption of alcoholic beverages (Lev 10:9-10). Fourth, the word shekar, like yayin, is a generic term which could denote either a fermented or an unfermented beverage. For the text in question the context presupposes the latter. Fifth, the derivation of shekar as well as its usage in Isaiah 24:9 and in cognate words of Semitic and Indo-European languages, indicate that the word originally denoted a sweet beverage, which could become bitter when allowed to ferment. All of this, of course, harmonizes Deuteronomy 24:26 with Proverbs 23:31. The Bible is going to harmonize. God won't deny Himself. 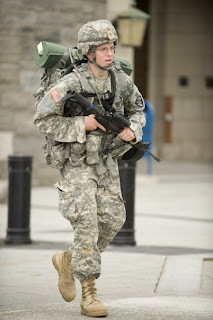 If you read this blog, you will be getting updates of my son at West Point. August 15 was Acceptance Day at the USMA. Acceptance Day is the time when the new cadets, who have finished Beast Barracks (cadet basic training), are accepted into the corps of cadets. These new cadets are now officially cadets. This means that they have risen to something on the level of worms under a rock, called plebes. The plebe cannot speak outside of his room unless spoken to. When he enters the hallway, he must walk with his shoulder against the wall, leaving the rest of the hall for upper classmen to walk through. 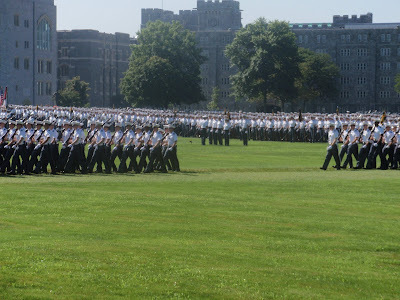 Today, August 17, is the first day of classes at West Point. To the left is a picture of Kirk and below a picture of the cadets on the parade grounds marching on Acceptance Day with rifles and full bayonets. Do you think that juice that is just squeezed or pressed out of grapes is alcoholic? Do you really believe that if you kept drinking juice the instant it came from grapes that at some point you could get drunk from drinking that juice? Really? That's the argument you're supposed to believe if you take the "one wine view," that is, that every time we have the Hebrew word (yayin) and the Greek word (oinos) for wine in the Old and New Testaments, it is alcoholic. Not only that, but men will tell you this is the scholarly approach or the position of scholarship. Who tells you it is scholarly? Of course, the one-wine guys do. Why is it scholarly? Um. It is. It's what scholars will tell you. Why? And why is it scholarly? It seems stupid to me. Yes, I said stupid. At least ignorant. And if not that, then very stubborn. And if you did a search on my blog, you'd find that I don't use that word. Or say things like, "I laughed when you said that." But on this one, you've got to dumb yourself down to believe the scholarly position. If not, it will go right under your head. You see, you have to believe that juice just pouring from the wine press from freshly squashed grapes is alcoholic in order to take the one wine view. I don't believe that. You may be asking, "Are you kidding me?" I'm not kidding you. That's what they believe. And are they getting angry if they're reading this? Probably. And they're still concerned about the word "stupid." But I wish they'd rethink this one wine view, because yayin and oinos both refer to freshly squeezed grape juice. If they're not being stupid about this; they're at least being stubborn---it is way too obvious not to admit. Isaiah 16:10, "And gladness is taken away, and joy out of the plentiful field; and in the vineyards there shall be no singing, neither shall there be shouting: the treaders shall tread out no wine (yayin) in their presses; I have made their vintage shouting to cease." Revelation 19:15, "And out of his mouth goeth a sharp sword, that with it he should smite the nations: and he shall rule them with a rod of iron: and he treadeth the winepress of the fierceness and wrath of Almighty God." You have to look at the Greek on this one, because that second half of the verse is literally, "He will trample the winepress of the wine of the rage and the wrath of Almighty God." So we are reading in the Greek the "winepress of the oinos." Oinos then is not always alcoholic. Keep looking at Revelation 19:15 if you would. When God is treading that vat of grapes with His rage and wrath, will the wine produced ever ferment? No. Of course not. Right when God treads it, it will be drunk by those He is judging. So there is no future for this grape juice. This next verse will work too, just to cover all the bases. Jeremiah 48:33, "And joy and gladness is taken from the plentiful field, and from the land of Moab; and I have caused wine (yayin) to fail from the winepresses: none shall tread with shouting; their shouting shall be no shouting." The one wine guys will say that even though they are pressing yayin or oinos out of these presses, they're still trying to make alcohol out of it, so it doesn't prove anything. They are pressing out future alcohol and, hence, alcohol. Hmmmm. Sounds like begging the question to me, shutting one's eyes to the evidence. There is no exegetical basis for making this type of assertion. If we've got passages that plainly reveal non-alcoholic yayin or oinos and then we've got ones that show that there is an alcoholic yayin (Proverbs 23:31) or oinos (Ephesians 5:18), then we've got two wines. In Matthew 9:17, Jesus says, "Neither do men put new wine into old bottles: else the bottles break, and the wine runneth out, and the bottles perish: but they put new wine into new bottles, and both are preserved." The bottles were skins. Old skins had lost their elasticity. They couldn't expand. When you put new wine into them, the wine would age, ferment, expand, and since there was no room for expansion, it would burst those wineskins. The point I want everyone to see is this: this verse among others says there are two wines---new wine and old wine. New wine was obviously not alcoholic. It could become alcoholic. Then it was old wine. So Matthew 9:17 is a proof text for two wines. Does Luke 5:39 say that alcoholic wine is better than non-alcoholic wine? Jesus said there, "No man also having drunk old wine straightway desireth new: for he saith, The old is better." There we go. "The old is better." OK. Stop for a moment. What is Jesus talking about? Better to whom? Those who had acquired a taste for the ceremonies and traditions of Judaism wouldn't want to give it up for the teachings of Jesus. Those with a taste for the Old Covenant might not want to give it up for the New. They would think it was better. Was it? Of course not. The New was better. And I think that if we took the analogy further, we could explain that the person choosing the Old over the New wasn't making that choice based on whether the Old was better for Him or not. He just liked it better. So the addictive quality of old wine could parallel with the addictive quality of the Old Covenant to those to whom Jesus preached. Consider these examples though now in conjunction with the presentation on Proverbs 23:31. Since yayin can be non-alcoholic, a description is necessary to distinguish the yayin of Proverbs 23:31 from the non-alcoholic variety, so the three descriptions are given. Yayin isn't wrong. It can gladden the heart. It is the alcoholic yayin that is forbidden. If one can assume that "wine" always means "alcohol," then the descriptive is ridiculously redundant in Proverbs 23:31. "Look not at alcohol when it is alcoholic." No one would need the adjectival phrases if yayin always means alcohol. But isn't Proverbs 23:31 talking about drunkenness in the context? Who is the command of Proverbs 23:31 written to? The imperative "look" is in the singular. The audience of the command is the same person to whom the entire chapter is written. If you zoom back to vv. 15 and 19, you see that it is "my son," Solomon's son. Was Solomon's son a drunk? I don't think so. But I do believe that he didn't want him to become one, so he prohibited the drinking of alcohol. I've heard "Christian" drinkers tell me that they've never been drunk. They drink in moderation, you know, so they've actually obeyed Proverbs 23. One thing that you can see with alcoholic drink in Proverbs 23:34-35 is that someone drunk doesn't even know when he is drunk. You can say you haven't been drunk from drinking your alcohol, but that passage says that the nature of alcohol is that it is deceives a person. It literally says that we can't trust the opinion of the person who is drinking the alcohol. I've heard most of the arguments against Proverbs 23:31 saying what it obviously says. They aren't credible. I would even welcome them again in the comment section to dispel them once more. Some may say, "Where's the scholarship?" OK. Scholarship, that is, looking it up in a book. Jesus spoke with authority because He went directly to the authority, not to someone talking about the authority. The authority is Scripture. We go there and we're scholarly. Nevertheless, I've looked up oinos in my mammoth Kittel's Theological Dictionary of the NT, which will give the entire history of the use of a word, and it mentions nothing about alcoholic content. It is the product of the vine, the grape. That's how it reads. That sounds like one wine too, that is, until the second law of thermodynamics starts taking over, or perhaps better, the harmful effects of the curse. But then, that's not the one wine that one wine people want it to be. The one wine could only be alcoholic, you know. I could take a one wine view if it was that the one wine was grape juice that could become alcoholic. I also looked up yayin in the mammoth Theological Dictionary of the Old Testament. Yayin doesn't appear until p. 59 in vol. 6, and low and behold, on p. 61, it reads: "The resulting grape juice was poured into earthenware pots or wineskins made form skins of goats or lambs." TDOT calls yayin "grape juice." You look at the multiple meanings of HALOT, the predominant OT Lexicon and it has as one of its meanings, "something fermented from wine." I thought all wine was fermented or it wasn't wine? I guess not. It doesn't actually say anything about alcohol in any place in its definition. Several Greek papyri, discussed by Robert Teachout, "The Use of ‘Wine' in the Old Testament" (Ph.D. dissertation, Dallas Theological Seminary, 1979), indicates that oinos could refer to unfermented grape juice. A rather clear example is a papyrus from A.D. 137 which contains this statement: "They paid to the one who had earned his wages pure, fresh wine [oinon] from the vat." It is interesting that the translators of the Septuagint used oinos to translate the Hebrew word for grape juice (tirosh). So context will determine whether a particular yayin (OT) or oinos (NT) is alcoholic or not. We know from Proverbs 23:31 that alcoholic yayin or oinos is prohibited. It is a sin to drink it. Why? You are disobeying God's command. God cannot deny Himself. He cannot lie. Therefore, Scripture will not contradict itself. The Bible does not contradict itself. We always have a reasonable explanation for what might seem like a contradiction. In the Old Testament we have the word yayin ("wine") used 134 times. What are we to think that yayin is? How are we to treat it? On the one hand Psalm 104:15 says that "yayin gladdens the heart of man." On the other hand, Proverbs 23:31 offers a prohibition, which reads: "Look not thou upon the yayin when it is red." So yayin is encouraged in Psalm 104:15 and it is prohibited in Proverbs 23:31. If yayin is the same substance in both those instances, then those two verses would contradict each other. God will not contradict Himself. So could yayin be referring to at least two different substances or have two different nuances of meaning? A word taking on two meanings is not unusual in the Bible. If we are simply to understand that every word has one meaning, we will have trouble with getting a right interpretation of scripture. For instance, Romans 3:28 says, "Therefore we conclude that a man is justified by faith without the deeds of the law." Romans 4:2 authenticates this truth about justification: "For if Abraham were justified by works, he hath whereof to glory; but not before God." And yet we read in James 2:21 this rhetorical question: "Was not Abraham our father justified by works, when he had offered Isaac his son upon the altar?" There is either a contradiction between Romans 4:2 and James 2:21 or we must understand the meaning of "justified" in two different ways. They are the same Greek word (dikaiao), just like we have the same Hebrew word yayin in Psalm 104:15 and Proverbs 23:31. The meaning of the word must be determined by the context. In the case of Romans 4:2 the word dikaiao means "to be declared righteous" and in James 2:21 it means, "to be vindicated." Abraham was declared righteous (justified) by faith and he was vindicated (justified) by works. We see an exegetical distinction between the two words, though both translated "justified." I could give several more examples of how that the same word in the Bible has several different meanings or understandings dependent upon its context or usage. So often we must determine the meaning of words based upon their context or usage. Certain words can mean different things. This is the case with the word yayin. In order to harmonize two passages that contradict each other, we must consider whether there are two different meanings of a word. Often in a dictionary, you will find that one word can have four or five or more varied meanings depending upon how it is used. This is exactly the case when we study out the word translated "wine" in scripture. It is not always the exact same kind of beverage. If it were always exactly the same beverage, we would take what is called a "one wine" view. We can see by looking at Psalm 104:15 and Proverbs 23:31 that the word has different meanings dependent especially upon its immediate context. Therefore, we believe that there are at least two meanings to the word "wine." This has often been titled the "two wine" view. I actually think that the word "wine" is used in even more ways than just two ways. It might actually be a "three wine" position or even more. "when it giveth his colour in the cup"
"when it moveth itself aright"
All of three of those distinctions of this yayin are describing the same characteristic of this yayin. There is a specific reason why these descriptions are given. Solomon wants us to know that this is a particular kind of yayin that we are prohibited from even looking at. It is still yayin though. If all yayin were the same, there would be no need for these three qualifiers. What does Solomon mean with these three descriptives? At that time in history there was no word for "alcoholic" in the ancient languages. No qualifying adjective like "alcoholic" was in existence. Because of that, Solomon distinguished this yayin from non-alcoholic yayin with descriptive phrases of alcohol. The particular yayin that Solomon was writing about was "red." There are actually two words in the first qualifying phrase, the particle ki, meaning "when" and then a verb, adem, which is hithpael, imperfect, meaning "it makes itself red." In the qal, this verb has the understanding of "to be red," but in the hithpael it has a reflexive meaning so should be understood as "to make itself red." Grapes themselves are already red. Solomon is not prohibiting the looking at yayin when it is its natural red. Yayin doesn't make itself that color; it just is that color. He isn't distinguishing red wine from white wine. He is prohibiting the gazing at yayin when "it makes itself red." What is it when yayin "makes itself red"? In the near previous context, we see "redness of eyes" related to drinking this beverage. Since no word existed that meant "alcoholic," some characteristic of the drinking of this beverage was used to describe the beverage itself. Drinkers of alcohol will develop red eyes and a red nose. Solomon is prohibiting the looking at yayin when it has made itself alcoholic. Yayin, pressed grapes, makes itself alcoholic. Yeast on the surface of the skin consumes the sugar and produces alcohol. It is fitting that the hithpael is used here to describe what has actually happened in making yayin alcoholic, that is, making it red. This understanding is authenticated in rabbinic literature. The Talmud says that "red" doesn't speak of the color of the yayin, but of the faces of the drinking men. The other two descriptive phrases corroborate this first adjectival phrase. One of the meanings of the word translated "color" ('ayin) is "sparkle," so "when it gives sparkle." "Sparkle" is a description of yayin, that when it becomes alcoholic, it sparkles in the cup. This yayin is also moving, that is, effervescent or bubbly. Alcoholic wine today is often called "sparkling." These two combine to describe yayin that is alcoholic in its sparkle and movement. The verses surrounding verse 31 explain why it is that alcoholic yayin is prohibited. It causes all sorts of sinning and the consequential problems and difficulties. The drinking of it is very destructive. The debilitating results of this drink offer further argumentation for why not even to look at it, let alone drink it. If all yayin were alcoholic, these elaborate descriptors would not be necessary to distinguish this yayin as alcoholic. There was no word for alcoholic in ancient writings, so these types of adjectival phrases were employed to distinguish the yayin in this context as alcoholic. Proverbs 23:31 forbids even looking at yayin when it is alcoholic. This verse prohibits drinking all alcoholic yayin. Here is the tale of two yayins. One yayin is non-alcoholic. It is encouraged. It can make your heart glad (Psalm 104:15). Why? It refreshes thirst. It provides nourishment. It represents that result of a very good farming season. We can be glad that God has provided a good crop of grapes once again. God has given us gladness with more of this delightful beverage for another year. Something we should never take for granted. Another yayin is alcoholic. This yayin possesses negative characteristics (v. 29). This yayin takes you down the wrong direction (Proverbs 23:30). This yayin yields horrible results (Proverbs 23:32-35). It is the viper's poison. No one would be encouraged to drink viper's poison even in moderation. In my lifetime, I cannot remember a debate about the prohibition of alcohol among people in churches with Bible as sole authority. What has happened? I believe it has started with the acceptance of alcohol in evangelical, non-separatist churches. One important way that these churches have become popular is through their compromise. They reduce this matter of drinking alcohol to a non-essential issue, so that membership in their churches are comfortable drinking. The men that pastor these churches are the ones being published by the very weak Christian publishing companies and then offered by the very weak Christian book distributors. The people that write books against these positions must publish and distribute them on their own. This makes these books look out of the main stream and less scholarly. After all, you can't get published unless you write some thing really good. And that's why the anti-alcohol books don't get published by mainstream publishers. People want to read a book that says it's OK to drink and the Bible gives them permission to do so. Another reason for the popularity, I believe, is a modern day revival of reformed theology. I choose to call it reformed theology rather than Calvinism, because obviously alcohol is not related to Calvinism. Reformed theology isn't even necessarily a pro-alcohol position, but a lot of reformed are drinkers. They would look to the the drinking of the reformers as a basis for acceptance of their practice. Those who would defend a pro-alcohol position would attach themselves to the history that is found in the Protestant Reformation. Luther was a drinker, for instance. A third part of this is where we're at today. Professing fundamentalists are being influenced by the writings of mainstream evangelicals. Young, disenchanted fundamentalists were fed a lot of cultural separation type of sermons when they were kids. They believe that they missed some of the deep, glorious truths of theology and the gospel in the teaching they grew up hearing. They are reacting to that. They are reading especially the conservative evangelicals, and the ones writing are both reformed to some degree and do not separate based upon cultural issues. They don't mind rock music, a lack of gender distinction in dress, and movies, and they are tolerant of the drinking. And you have some, like a Douglas Wilson and Mark Driscoll, who promote the drinking. They say that God doesn't just permit alcohol, but that God wants us to enjoy it. So even professing fundamentalists are trying booze and attempting to become educated in the various types and brands. It does fit with modern academia to be a connoisseur of adult beverages, much like Solomon was in his search for satisfaction in Ecclesiastes. They like the idea of being deep and having answers, these young fundamentalists and conservative evangelicals. And there has become an overlap on who is fundamentalist and conservative evangelical. The line is blurred now. You can see that in online forums like SharperIron where on their blogroll they have men from many various stripes all treated the same. The message is that the delineation between these, fundamentalist and evangelical, really doesn't matter. And so there is more acceptance than ever among fundamentalists of those who don't mind tipping back a few. And last, the scholarship of evangelicalism has eroded the fundamentalist institutions. Recently Bob Jones University Press published a small book that advocated prohibition of alcohol, but it did not use the conventional arguments that fundamentalists have used in doing so. The book, written by one of its seminary professors, Randy Jaeggli, took the one-wine position, saying that all "wine" in scripture is alcoholic, so anyone in the Bible who is drinking "wine" must be drinking alcoholic wine of some kind. His argument would say that much of the "wine" was so weak in is fermentation that it would be almost impossible for someone to be inebriated or that water was added in those days so that someone could not become drunk from partaking. This is new for most fundamentalists. The young fundamentalists and the conservative evangelicals have latched on to this book by Jaeggli. He has corroborated their positions. In a foundational way, he agrees with those who believe scripture permits drinking alcohol. Actually Jaeggli argues against it, but he uses other arguments than that there was a non-alcoholic wine in scripture. He tries to use cultural argumentation, a position that would allow Bob Jones to continue taking their traditional prohibitionist view. The result of Jaeggli's book was that for the most part, prohibitionists were against it and moderationists were for it. Prohibitionists wrote many reviews against it. They weren't happy. Older BJU graduates in many cases weren't happy with few exceptions. It was not the kind of anti-alcohol presentation that they would have expected from their alma mater. For that reason, BJU pulled the book and is revising it. This saddened some of the younger fundamentalists especially. It brought some jeers from the young conservative evangelicals, pointing to, in their opinion, the politics of fundamentalism that they so long have disliked. A lot of younger fundamentalists were really, really happy with the Jaeggli book. It did allow them good standing with conservative evangelicals for one, that they often emulate. All of this created a controversy that still exists. And we await the revision to see what it will say. What is my position? I'm going to give a simple lay-out of a scriptural prohibitionist's view as a follow-up to this. I do see the moderationists position to be very weak, actually unbelievable. I don't believe that Jaeggli's position is true. I don't believe he proved his position. I can understand the furor that his book caused. Stay tuned in coming days as I expose the scriptural teaching on drinking alcoholic beverages. 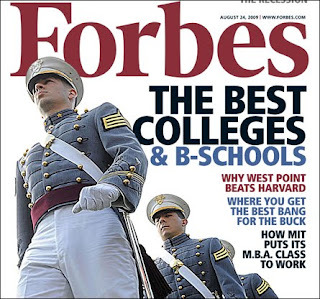 Every year Forbes magazine rates the top colleges in the United States. This year that honor was won by the United States Military Academy (West Point). Here and here are two articles about this ranking. They were rated ahead of Harvard, Yale, Stanford, Air Force, and Navy. My son, Kirk, as you might already know, is in his first year there. He will finish CBT (Cadet Basic Training), otherwise known as Beast Barracks, with their 14 mile march back on August 10. Class starts on August 17. Here is a picture of Kirk on a march during CBT. Click here to watch announcement at Fox News. Textual critics say that we can't allow theological presuppositions to come into our criticism. We've got to take the evidence as it comes and lead us to the "truth." We do this by means of the science of textual criticism. Ehrman says that this is what he does and this is what other textual critics like himself are doing. And his and their conclusions are that we can't be sure what the original documents of the New Testament said. We're too far removed. Well, evangelical textual critics have been too saying that we've got to let the evidence lead us to the truth, even if this has an impact on our view of inerrancy. We've got to adjust our doctrine of inerrancy to textual evidence. This is the position of Daniel Wallace from Dallas Theological Seminary. But now that the non-theological and mainstream textual critics are saying these things just like Ehrman does, we've got a split with evangelical textual critics. Why? They believe that Ehrman's theology is affecting his textual criticism. He is exaggerating textual evidence for the New Testament to fit his unbelief. Ehrman says he isn't. They say he is. And the evangelical textual critics, like Wallace, are calling Ehrman on this. As you hear from Bock, textual critics of other ancient literature would "die" for the textual evidence we have for the New Testament. The conclusion from this is: if we can't trust the textual evidence for the New Testament, then we can't trust it for anything ancient. So to be consistent, and show no theological bias, we should conclude that we really do have very good textual evidence for the New Testament. OK, so do you get this first part? Ehrman is allowing theological bias, the liberal variety (he's an agnostic), to color his conclusions from textual evidence. He's exaggerating the evidence as very poor, when he knows it is very, very good, and he does this only to support his lack of faith. Know what? I'm fine with that criticism of Ehrman. I think it is true. Understand though that Ehrman is going to say, as well as the other mainstream textual critics, that the evangelicals are doing the same thing as him, that is, making their evaluations with a theological presupposition. Their faith depends on the veracity of scripture, so they must have scripture have veracity. I think that White and Bock are true. We've got way more textual evidence than what Ehrman says and that he is allowing a theological presupposition to come in. I don't mind if a theological presupposition comes in, but they don't and they are calling Ehrman on it. What's Ehrman's problem? He knows what the Bible says. He knows that it claims perfection for itself. He knows that inspiration taught in the Bible is verbal and plenary. So if the standard for scripture is perfection, then we have to have a different standard for its textual criticism as well. He would say that the Bible is far from perfect. So would Bock. But Bock is willing to adjust his faith to an error riddled Bible that has the right doctrine. Ehrman won't do that. He would say, "Don't claim inspiration for something that we don't even know for sure what it says." What evangelical textual critics have done is dumb their doctrine down to the level of their textual criticism. This is brand new, by the way, something that began occurring in the late 19th century. It is the heritage of Princeton Seminary passed from men like Warfield to men like Metzger. Ehrman is the proof of how this has eroded the faith. Before we move on, notice that Bock expresses the evangelical textual critic's mantra that even though the teaching of specific verses are changed by means of a textual variant, you'll be able to find that truth somewhere else in the New Testament, therefore preserving the doctrines of the New Testament. This is the preservation of doctrine view that really is the view of preservation of most evangelicals scholars. Since they "won't be guided by theological presuppositions," they believe that what God preserved was "doctrines," even if the New Testament text itself says otherwise. You won't find a book on preservation that says, "our view is the preservation of doctrine, not the words," because that sounds bad and it clashes with the theological presuppositions of most church members. By the way, what Bock is saying is not true here. They repeat this again and again, but there are doctrines that are changed if you rely on the textual variants. We have shown this clearly in our book, Thou Shalt Keep Them. Ultimately what evangelical scholars really mean is that there are no doctrines changed that will affect your ability to be saved and get to heaven. This is where we're at. All the doctrines are preserved that are necessary to become a Christian. Then Dickson asks a great follow up. And this is what got my attention in this youtube interview. He asks, but some say that we're not even using the right gospels? So he moves to canonicity. Why aren't these gospels part of the New Testament? Why are they left out? In essence, why 27 New Testament books? Why these 27? This is a preservation question too. Why is it that we say these are the books of the New Testament and not the others? There is evidence of their existence. We have ancient copies of these. Here's the answer from Bock: "What we've got here is that these other gospels reflect a completely different orientation to God." I have to admit. I've never heard such ambiguous language used to say something theological. "Completely different orientation to God?" But that's where we are now in our discussion, because now we've got to make it sound like it isn't theological. "Orientation to God" sounds more scientific. But it is a theological answer. And it is basing our acceptance of only four gospels upon a theological understanding. So when it comes to accepting words, we have to let the evidence come to us. But when it comes to books, we make our decision based on theology. We are talking about the same process though, words the lesser and books the greater. It seems that Bock is attempting to keep theology out of how we determine what the gospels are, but he can't do it. Shouldn't that open the door for theological presuppositions as a basis for our determination of what the Books are and what the Words are? Bock's answer, I think, could be debunked on a scientific level by some of the liberal, Biblical critics. Bock revolves the rejection of the other gospels around the Jewish understanding of creation that would be reflected in a book to be included in a legitimate presentation of Christ. In other words, if the authors were Jews, then the presentation should be at least Jewish and these other (non-canonical) gospels aren't Jewish in their view of creation. I do want to give my take on the rest of this clip. Bock's explanation of the veracity of the gospels then hinges on the ability of people to remember stories that have been told to them by people. This was an oral culture and they would have been able to remember stories from a few decades away and pass them down in the form of gospels. And we have a good example of how good they were at handing down oral tradition with the evidence of the Old Testament. So is that what the gospels are? A collection of stories that were shared orally and then passed down through an oral tradition and then finally written down from these memories? Bock says that the Apostles were chosen because they were eyewitnesses and so they could pass down this oral tradition based on their own testimonies. Are we ashamed of the doctrine of inspiration? How about this view instead? It seems to me that we have been so affected by the world that we're afraid to take a position based upon faith.